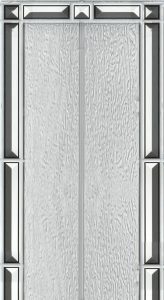 A very elegant bevel design with an ornate bevel border and a subtle backing texture. 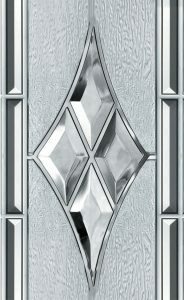 All bevels are clear and will sparkle to great effect in sunlight. 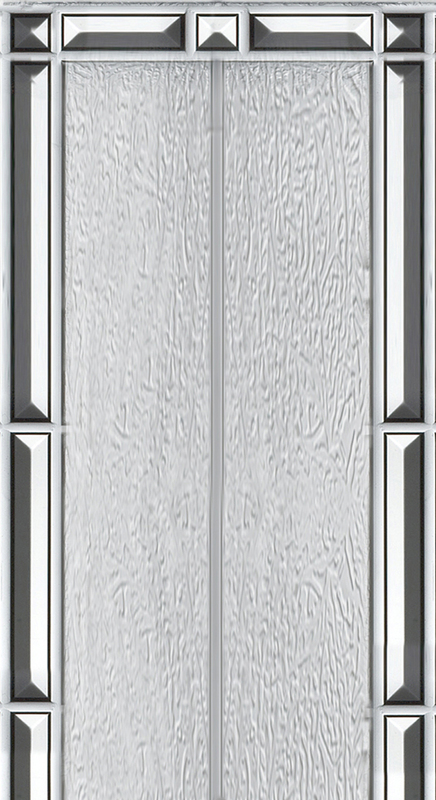 Like our ‘Crystal’ range these options offer improved security as the decorative design is actually laminated to the inner pane. This means if the safety glass was shattered the doorglass would still hold together. 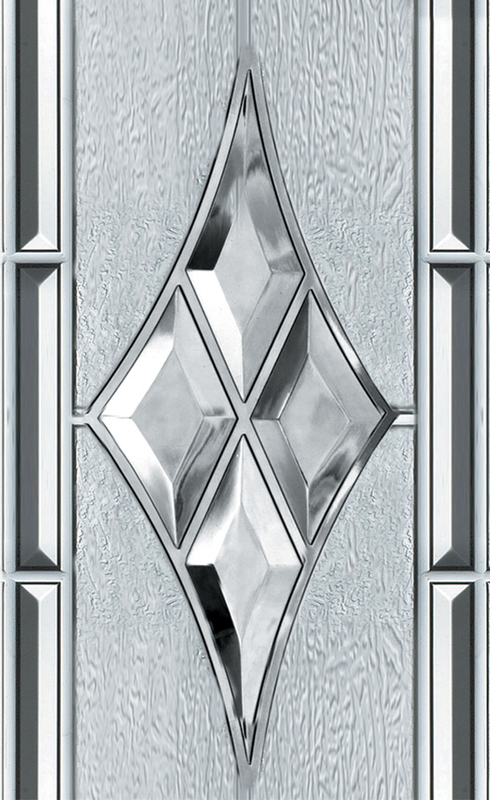 The mid panel and small top designs from the ‘Radiance’ range also matches our ‘Crystal’ range.